We would like to announce the next rotation of artworks on display at our Shirokane gallery. 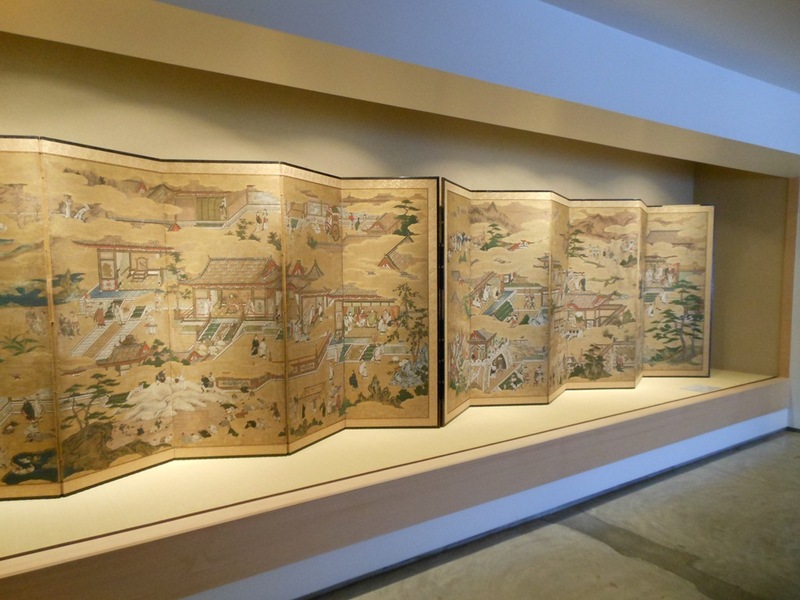 After 109 years, a pair of screens called Teikanzu (Pictures of the Mirror of Emperors) have returned to Japan after having been brought to Munich, Germany in 1903! We hope that you will take advantage of the opportunity to come and take a close look at them. The Shirokane Art Complex will be hosting a joint reception (1F Kodama Gallery, 2F ARATANIURANO, 3F Yamamoto Gendai) on Saturday April 14th. London Gallery will be open from 6:00pm to 8:00pm that evening. We hope that you will all join us then. Please understand that parts of the display will change during the exhibition period.